The curse of Whisky Cyclist strikes again!! When I first started this site, I had crazy ambitions to do whole pages on particular establishments I had enjoyed staying/eating at. Fortunately only three got their own special page. With the closure of Auchmillan all three have now closed. 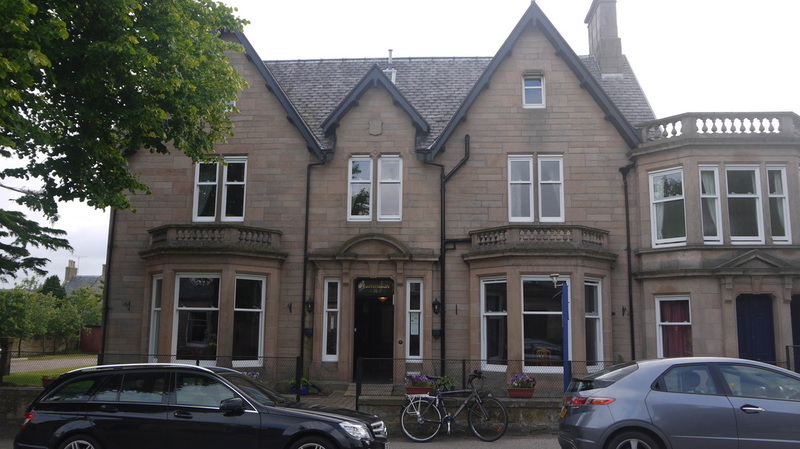 The best of the 9 B&Bs and Guest Houses that I stayed in during my stay in Scotland in June 2011. There was also space under cover for the bike too - though on a subsequent visit, my bike was stolen! The quality of the accommodation and breakfast made it an easy decision to extend my stay from an originally planned 2 nights to 4. Very convenient location, for both the station and the middle of Elgin. A very good continental breakfast is included in the basic price, but the cooked breakfast is worth the extra fiver. En suite twin room £35/£40, the table on which the tea tray was set proved extremely useful for setting up the laptop. Stayed there in November 2012 as well. Despite the problem with the bike in 2012, I would have stayed there again in 2013, but they were full.